Want one too? You can get it from deviantWEAR. This Google Doodle depicts panjat pinang, a game traditionally played during Independence Day holiday in Indonesia every 17th of August. A number of players would try and climb a skinned and heavily greased pole to grab prizes hung on the top. For physically heavier (e.g. refrigerators, motorcycles) or more fragile (e.g. iPads, BlackBerrys) items, a placeholder board is usually hung instead. This game emphasizes strength, agility, and above all, teamwork. To reach the top of the tall tree, the players would usually try and form a human tower. It is quite a spectacle to watch, especially with all the slippery grease. 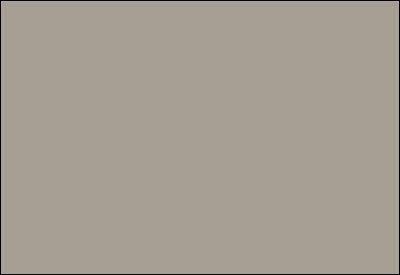 Pictured above is the one color that represents all modern art, according to artist Joshua T. Nimoy (a relative of Spock? 😛 ). He came to this conclusion after analyzing and calculating the average color of – get this – 26 thousand modern works of art. In RGB, the hex representation for this color is #A79F94. Unfortunately, it seems there’s no proper name yet for it. What do you think it should be?